By: Anonymous. Published: February 11, 2011. My mom always used to say to me that I was accident prone. I never really understood what she meant, but as I grew older, I began recognizing a pattern of misfortune that surrounded me. It would happen with a few small things such as the printer breaking when I had to print off a paper, even though it worked for everyone else in the world. There was the time that everyone in my fifth grade class put lead from a pencil into an electrical outlet and did not get shocked, but then as soon as I tried, a jolt of pain was sent through my body. Those things are minor in the grand scheme of accidents and they were bound to become worse and more painful. While at a funeral once, I actually passed out from my knees locking. Not so embarrassing until I hit the tombstone with my body. I bit a hole halfway through my tongue, but thankfully it healed without stitches. This was not my first time when I passed out and something happened to me. Once my aunt was curling my hair; I remember waking up to her holding the iron with a big chunk of my long hair. I did not go out to the fancy birthday dinner that night. I once spilled scolding hot chili on someone. I did not know them and in fact I had never seen them before in my life, but as a way of introducing myself, I guess hot chili that has been accidently spilled over the front of their pants works quite well. I recall my freshmen year at McKendree, when I walked into Ames for the first time. I was going to make my grand entrance into college when I happened to trip on the rug outside the door, hit the glass door and slid down. My grand entrance was followed by a standing ovation by half of Ames. Welcome to College! I wish that this was the only time I had publicly embarrassed myself at school, but alas, it was not. You know the beds in the dorms that McKendree has that can be lowered to your convenience? Well, they are not convenient to actually lower, so I just left my bed up high, being too prideful to ask anyone to lower it for me, since I am only five foot one. One night I was having a horrible nightmare and thrashed in my sleep to the point where I fell off my bed. I ended up spraining my ankle and every time anyone asked, I had to tell them that I fell off my bed. 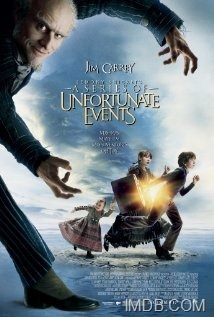 If my life was a book series, sometimes I think it would be similar to The Series of Unfortunate Events. Instead of being an orphan trying to find a home, though, I am just a girl who can’t put one foot in front of the other without having to constantly look down, which would inevitably cause me to walk into a person, wall, dog, or pole. As I walk into the object in which I did not see, people just walk by and whisper, “Aw, how unfortunate.” I am Murphy’s Law. If it can go wrong and I am there, it will.